The second part of our discussion of the I.B. Singer story of the Jewish girl who dressed in boy's clothes. Michael Wex, Faith Jones and Shane Baker. Visit www.YiddishBookClub.com for details. 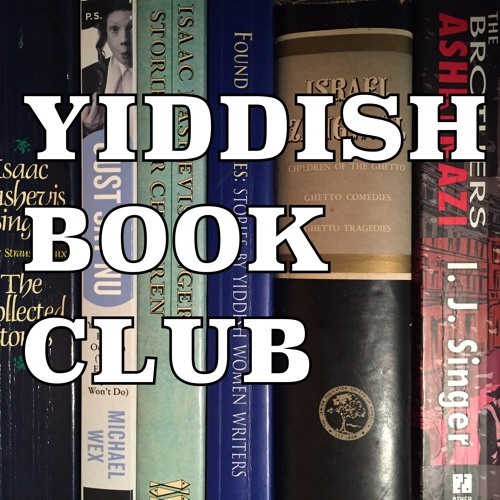 Download Yiddish Book Club - Part 2 of I. B. Singer's "Yentl the Yeshiva Boy"
Users who like Yiddish Book Club - Part 2 of I. B. Singer's "Yentl the Yeshiva Boy"
Users who reposted Yiddish Book Club - Part 2 of I. B. Singer's "Yentl the Yeshiva Boy"
Playlists containing Yiddish Book Club - Part 2 of I. B. Singer's "Yentl the Yeshiva Boy"
More tracks like Yiddish Book Club - Part 2 of I. B. Singer's "Yentl the Yeshiva Boy"